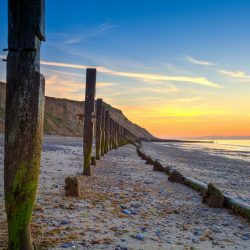 Sheringham is an archetypal, traditional seaside town know for its carnivals, Steam Train Station and award-winning Blue Flag beach. Colourful and bustling this fabulous location was once an old fishing village and that heritage is still evident today with small fishing boats coming in with the ‘catch of the day’. Sheringham’s beautiful sandy beach is lined with colourful beach huts and has the sought after Blue Flag award. It is both family and dog-friendly and there are lovely scenic walks along the promenade. In the town, you will find a plethora of pubs, cafes, tea rooms, fish and chip shops, independent shops, museums and a theatre. In the centre of Sheringham is the town clock, built on the site of an 1862 water well. A fantastic market is held on Saturdays throughout the year and twice a week to include Wednesdays from April to November. Vikings first settled in Sheringham in 900AD and its name means the Ham od Scira’s people. It is thought that Scira was a Viking warlord who was given the land as a reward for his performance in battle. 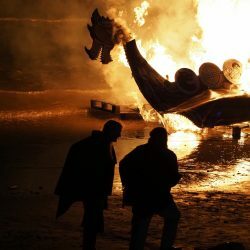 This history is celebrated with the amazing annual Viking Festival each winter which is a must visit and climaxes with the burning of a purpose-built longboat on the beach. 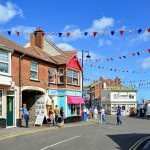 Sheringham has a huge number of carnivals and festivals all year round including the infamous Crab & Lobster Festival and Sheringham Carnival. 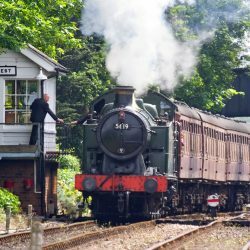 There is also a Steam Gala in the Autumn, celebrating the heritage North Norfolk Railway which runs from Sheringham to Holt, through Kelling, with fantastic sea views along the way. Another highlight of Sheringham has got to be the North Norfolk Railway and its Sheringham Station. The Poppy Line that runs from the station runs steam and diesel trains to the popular coastal village of Weybourne and Georgian market town of Holt and operates a daily scheduled service. The North Norfolk Railway Station has 3 platforms, a tea room/cafe, a shop and a ticket hall. Children who enjoy Thomas the Tank Engine will love the experience of riding along the coast on an original steam train and parents may well enjoy not having to drive when visiting Weybourne or Holt! 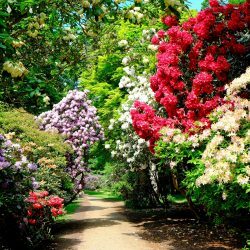 Also well worth a visit, especially in late spring and early summer when the rhododendrons and azaleas are in full bloom, is the nearby Repton designed Sheringham Park, one of the most beautiful parks in Norfolk. Renowned for its beautiful walks and breath-taking coastal views especially from the Gazebo and the Temple.